This lovely cranesbill makes a bold border plant with ferny, dissected foliage and bowl-shaped clear deep blue flowers, paler at the centre. It has a good vertical habit, doesn’t flop and enjoys any soil in sun. 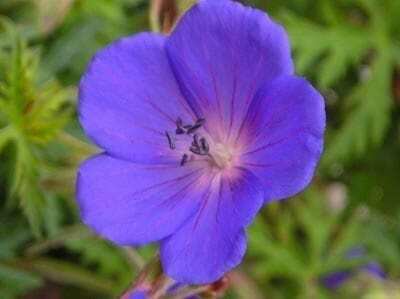 Awarded an AGM at the 2004 RHS Geranium trials. Most geraniums are slug and snail proof, versatile and easy to grow, being tolerant of a wide range of conditions and all soil types. Hardiness rating H7.